2Wheel Chick: One day one photo - 26: I'm doing a cyclosportive! One day one photo - 26: I'm doing a cyclosportive! There was a time when I used to do loads of cyclosportives - all the well-known ones in the UK such as the Dragon Ride, Fred Whitton, Etape du Dales etc, and I travelled abroad to do quite a few as well - L'Etape du Tour, La Marmotte, La Quebrantahuesos. I even didn't mind just jumping on a plane and going to do one in some local village where there would be no other British people there, and it was a sportive hardly known outside of that country. I remember that being the case when I took part in an event called La Vencoise about 10 years ago, in the hills just outside Nice. There were probably around 400 entrants, all from the local area, congregated in the village sportshall. The organiser was very pleased to see someone who had travelled from so far away, and when I was signing in they were really impressed to see a UK cycle racing licence. As I didn't have a car I got there by catching a train from Nice to St Laurent du Var, and then cycling the remaining 8 miles uphill to a place near Tourettes sur Loup. 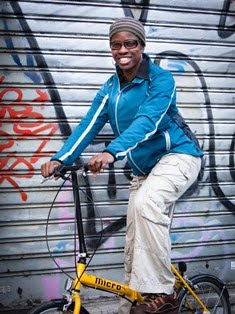 It was funny because when I was riding back from the event to get the train to Nice, a lot of the competitors that passed me in their cars beeped and waved at me as they overtook, or even leaned out to say bonjour. I think I was about the 10th fastest woman in my race, but he still gave me some flowers and a bottle of wine. It seemed to be one of those days that the organisers would recall as "the day a young lady from London turned up to do our race!" Happy days! I have wanted to return there and do the event again, but have not managed to. I hope to do so again though. There's always a nice feeling at these cycle events, and they are much more personable than the large-scale, big budget, high profile events. 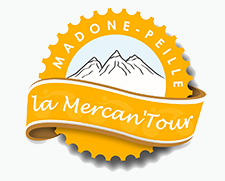 In the meantime I have entered a cyclosportive in the same general region, called La Mercantour. This is more towards Menton, and goes over the col de Madone and the col de Braus, which are biggies on that side of the mountains. It's again a small local event, with a couple of hundred people. These days I do fewer cyclosportives than in previous years (so many cycling disciplines so little time!). I did the Etape Loch Ness last year, after I was invited there, and I have ridden the Ride London 100 for the last couple of years. Hopefully I will be able to get through this race, and the long climbs of the Alpes Maritimes won't have me spat out of the back of the pack too early!